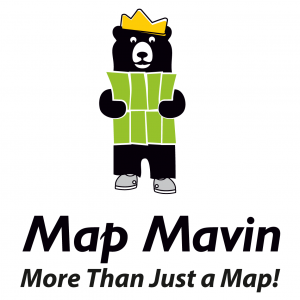 Map Mavin is our GIS cloud, have you checked it out yet? If not, you can find out more information about it here. If Map Mavin looks like a service you could use to create the web maps required for your next project, then you need to check out this monthly article where we give away up to five (5) free subscriptions! So here is how this will work. Each month, we will give away up to five free one-month subscriptions to Map Mavin – that is a $35 value per subscription! Included in this free one-month subscription is up to 5 gigabytes (GB) of cloud-based storage and download bandwidth, plus you even get an additional free trial month. Then you would pay a base rate of $35 per month for Map Mavin from there if you decide to keep the service active. If you are already a Map Mavin client, we will credit your account $35 if you win the contest. To win, you will need to submit the correct answer to the trivia question below. You have 24 hours from the time our newsletter sends to submit your answer. We will randomly draw the five winners from the group of readers who answered correctly; and then announce these winners in the next edition of The Geospatial Times. Which US states have the lowest and highest natural features; also name the features and their height above sea level? You have 24 hours to get us the correct answer to this question by email. Please submit your answers to sales@apollomapping.com. September 2018 Free For All Answer & Winners! We did not have a winner last month, perhaps the question was too challenging?! The answer to last month’s question was Lincoln, Nebraska which was incorporated in 1867. Good luck winning our monthly prize and let us know if you have any questions about Map Mavin! This entry was posted in The Geospatial Times and tagged free, Free For All, free trial, Map Mavin, The Geospatial Times by Apollo Mapping. Bookmark the permalink.